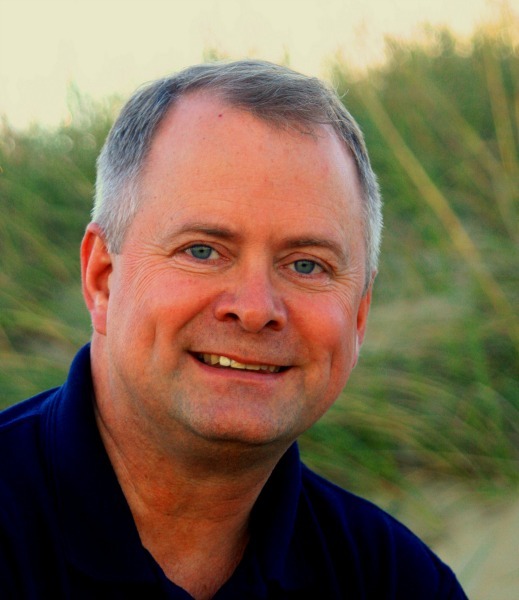 Ranked in the Top 100 Science Fiction authors (Amazon Rank), Chris Kennedy is a former aviator with over 3,000 hours flying attack and reconnaissance aircraft for the United States Navy, including many missions supporting U.S. Special Forces. He has also been an elementary school principal and has enjoyed 18 seasons as a softball coach. Chris is currently working as an Instructional Systems Designer for the Navy. Chris' full length novels on Amazon include "Red Tide: The Chinese Invasion of Seattle" and "Occupied Seattle," the conclusion of the duology. "Janissaries," the first book of the new trilogy, "The Theogony," is also now available. Look for Book 2 of the Theogony, "When the Gods Aren't Gods" in April. Analysts have long forecast that China would go to war to reintegrate the province of Taiwan. It isn't a matter of "if;" it's a matter of "when." For decades, the only thing that has restrained China from taking Taiwan by force of arms is the American promise to defend it, even if that meant World War III. To date, China has not been ready to go that far. But what if China figured out a way to put the United States on the sidelines of their fight to regain Taiwan? Would they do it then? 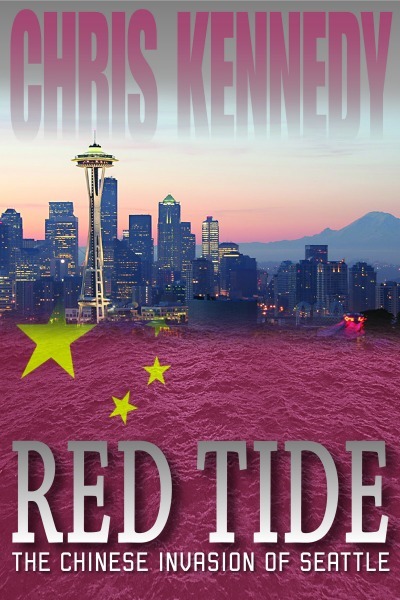 Drawn from today's headlines, "Red Tide: The Chinese Invasion of Seattle" is set in a not-too-distant future where China decides to invade Seattle to use American citizens as high-stakes chips in a game of nuclear blackmail. Will the United States get Seattle back? Written by a former aviator with over 3,000 hours flying attack and reconnaissance aircraft for the United States Navy, including many missions supporting U.S. Special Forces, "Red Tide" is a look at one possible future that isn't as improbable as you might think. Events in it are not only possible, they're already happening. Could China attack the United States to get back Taiwan? The Chinese Have Captured Seattle! In 1949, the government of the Republic of China fled to the island of Taiwan. For nearly 70 years, the People's Republic of China has wanted to take the island back and unite the nation under one flag, the Communist flag. Their desire was thwarted by U.S. support for Taiwan, until the Chinese conceived and executed the perfect plan to keep the U.S. out of the war for Taiwan, an invasion of Seattle! Yesterday, China captured the cities of Seattle and Tacoma, Washington, in a Pearl Harbor-like surprise attack. The Chinese also captured six American nuclear warheads and are not afraid to use them on American soil, if necessary to keep the United States out of the war in the Pacific. Without U.S. aid, the fall of Taiwan seems imminent, and now even Seattle seems lost to the Chinese. America's hopes are riding on a shot-down F-18 pilot, a retired Navy SEAL, and a platoon of Army Rangers. If that's all America has going for it, all hope seems lost! The war with China was over and Lieutenant Shawn 'Calvin' Hobbs just wanted his life to get back to normal. The hero of the war, he had a small ream of paperwork to fill out, a deployment with his Navy F-18 squadron to prepare for, and a new girlfriend to spend some quality time with. Life was good. Until the aliens showed up. They had a ship and needed to get to their home planet, but didn't have a crew. They had seen Calvin's unit in action, though, and knew it was the right one for the job. There was just one small problem--a second race of aliens was coming, which would end all life on Earth. Calvin's platoon might want to do something about that, too. Having won a terrestrial war with 30 troops, winning an interstellar war with nothing but a 3,000 year old cruiser should be easy, right? 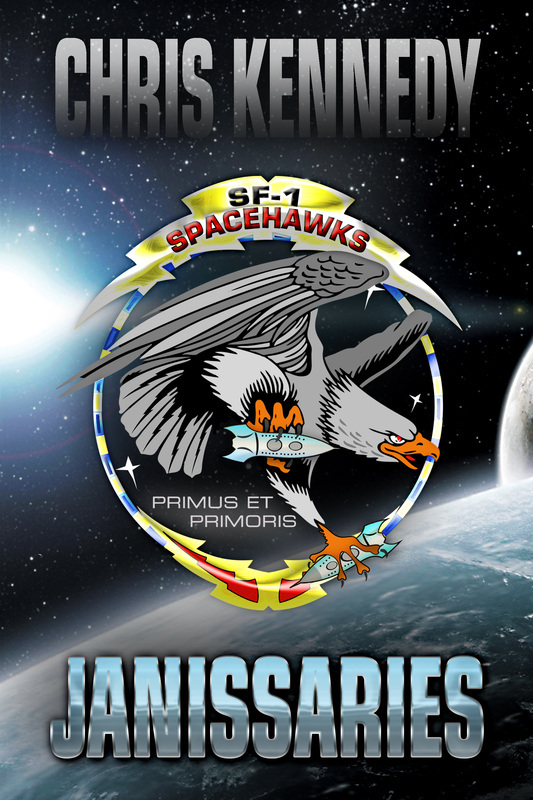 "Janissaries" initiates "The Theogony," a trilogy that will take Lieutenant Hobbs and his Special Forces platoon to the stars. It will also show them that there’s much more to Earth's history than is written in the history books! Lieutenant Commander Shawn “Calvin” Hobbs saved Seattle, traveled to the stars and forged new alliances with alien races. With the latest war concluded, it was time to decipher the strange rod an ancient alien civilization gave him as a test. Was a little “down time" to work on the project too much to hope for? Something or someone is destroying the starships of the alien Aesir race. The elven Aesir are in need of help, and all of the signs point to Calvin as the hero they need. He has already defeated the merciless Drakuls and saved Earth from alien invasion, but is he prepared to face this unknown challenge? As the Theogony trilogy comes to a close, a new chapter for Calvin is set to begin. "The Search for Gram" initiates the "Codex Regius," a trilogy that will once again take Lieutenant Commander Hobbs and his Special Forces platoon to the stars. Not even the universe can hold him this time! How do you train people to become better leaders? Almost 200,000 books exist on the topic, and American companies spend almost $14 billion annually on the pursuit of leadership training, but so far no one has come up with the definitive answer. The U.S. military spends more on leadership training than most organizations, and it should: its officers run a business with millions of employees in hundreds of countries across the planet, and at any moment its leaders might have to order their subordinates to make the ultimate sacrifice. Military leadership training teaches 11 behaviors that the services believe are the key to creating effective leaders. The problem with this training, though, is that most adult learners forget nearly 50% of what they learnwithin two weeks. How can a leadership trainer increase retention and create better leaders? Stories. Research has shown our brains become more active when we tell stories. We are wired for storytelling, and we learn better when information is presented through stories. Leadership from the Darkside illustrates leadership principles with fascinating true stories of military leadership gone wrong, from every branch of the military. No matter whether you are a CEO leading a diverse multinational business or a novice filling your first decision-making position, this book will change the way you view leadership and help you become the leader you want to be.